Plot: Alucard awakens and his thirst for vengeance is stronger than ever. This anarchist must use everything in his mythical repertoire to show that his bite is far worse than an army of snarling Nazi werewolves. As Alucard absorbs every drop of blood in sight, all begin to realize that the ultimate slaughter might be too much to handle even for the deadliest of demonic slayers. Plot: Remember when vampires had fangs? Remember when they were known as terrifying monsters that stalked the night. Instead of moody teenagers that sparkle in daylight? It’s time to drive a stake through the lovesick heart of contemporary vampire nonsense. 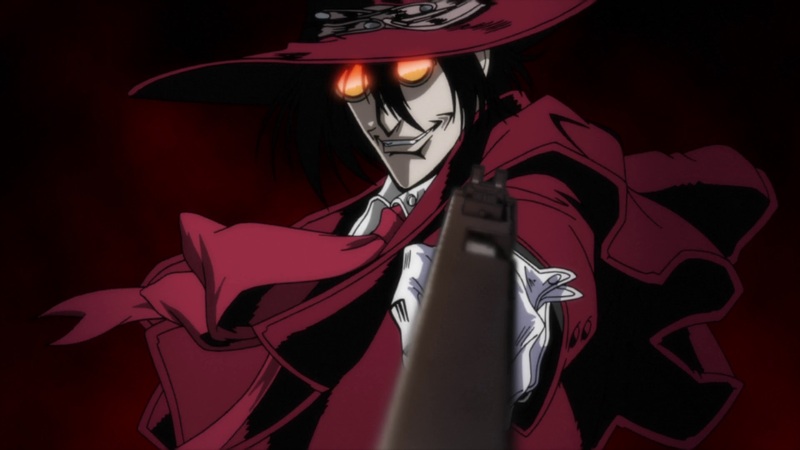 Satisfy your bloodlust with Hellsing Ultimate, the definitive action-horror anime. The rogue vampire Arucard is the Hellsing Organization’s deadliest instrument in its mission to protect the British Empire from satanic ghouls and Nazi freaks. He is not alone in his assault on the occult. 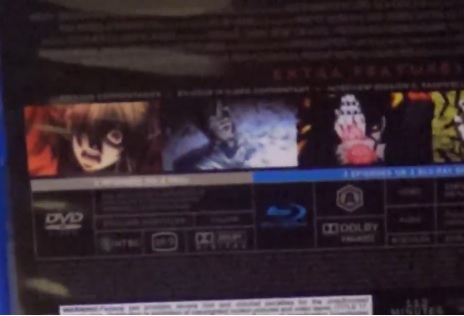 The Master has a servant, Policewoman Seras Victoria accepted Arucard’s gift of dark salvation after falling in the line of duty, and now the remnants of her human soul struggle against her growing vampire urges. Together, they haunt the shadows as a sinister force of good – and tonight the foggy streets of England shall flow with the blood of their evil prey. Plot: Remember when vampires had fangs? Remember when they were known as terrifying monsters that stalked the night, instead of moody teenagers that sparkle in daylight? It’s time to drive a stake through the lovesick heart of contemporary vampire nonsense. 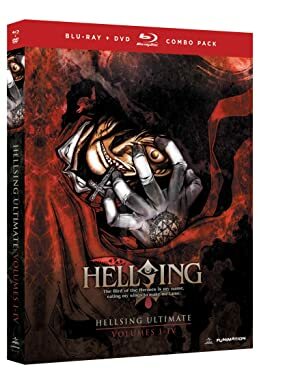 Satisfy your bloodlust with <I>Hellsing Ultimate</i>, the definitive action-horror anime. The rogue vampire Arucard is the Hellsing Organization’s deadliest instrument in its mission to protect the British Empire from satanic ghouls and Nazi freaks. He is not alone in his assault on the occult; the master has a servant, policewoman Seras Victoria accepted Arucard’s gift of dark salvation after falling in the line of duty, and now the remnants of her human soul struggle against her growing vampires urges. Together, they haunt the shadows as a sinister force of good – and tonight the foggy streets of England shall flow with the blood of their evil prey. 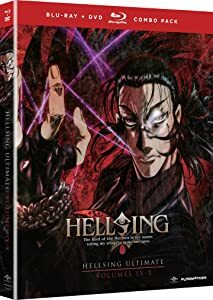 The first installments into the Hellsing Ultimate franchise finally arrives in High Definition, but is it as sucessfully presented and as brutal as the later installments? 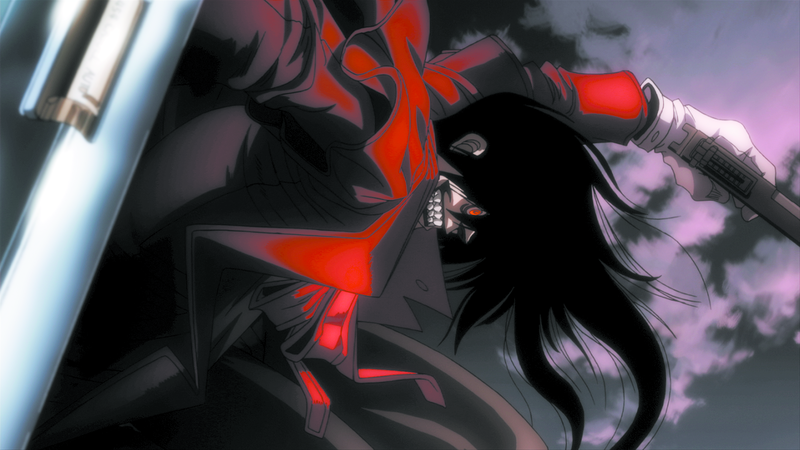 Find out in our Blu-ray Review of Hellsing Ultimate – Parts 1 to 4. 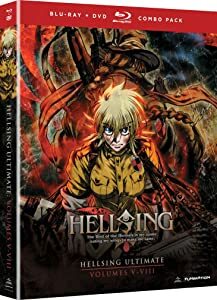 The story of Alucard, Integra and Sera continues but this time in full High Definition, is Hellsing Ultimate worth the HD Treatment or should it be cast back into the bowls of hell? Find out in our Blu-ray Review of Hellsing Ultimate – Parts 5 to 8.